Remodeling a kitchen can be one of the most rewarding jobs as it breathes new life into the heart of the home. Whether it’s taking advantage of a tight budget or designing a dream kitchen, our team at ProSource® of Greenville has the knowledge and selection to help design the kitchen you and your clients want. We’ll help you navigate the variety of options to get you what you want quickly at a reasonable wholesale price. 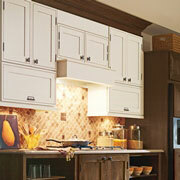 Upgrading the kitchen cabinets is essential to a great kitchen remodel as it adds a vibrant new look to any kitchen. This stylish upgrade can also add functionality to the kitchen with increased storage and improved cooking space. Come visit our showroom to revel in the wide array of cabinet storage and style options we offer from the best brands. Increase the potential functionality and aesthetic appeal of your kitchen with a set of kitchen countertops from ProSource of Greenville. 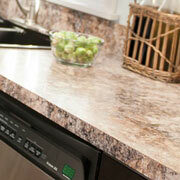 Our selection of countertops features a vast array of materials that each deliver a certain functionality and style. You can find countertops ranging from quartz and granite to marble, laminate, and more. See them in all in our Greenville showroom.